Just imagine for a minute… Empty houses abandoned by their owners. The Port of Antwerp on one side and giant cooling towers of a nuclear-power plant on the other side. Lonely streets where weed seeks its way through the pavement and cracks of abandoned homes. A darkgrey sky with clouds seemingly eager to start pouring rain. 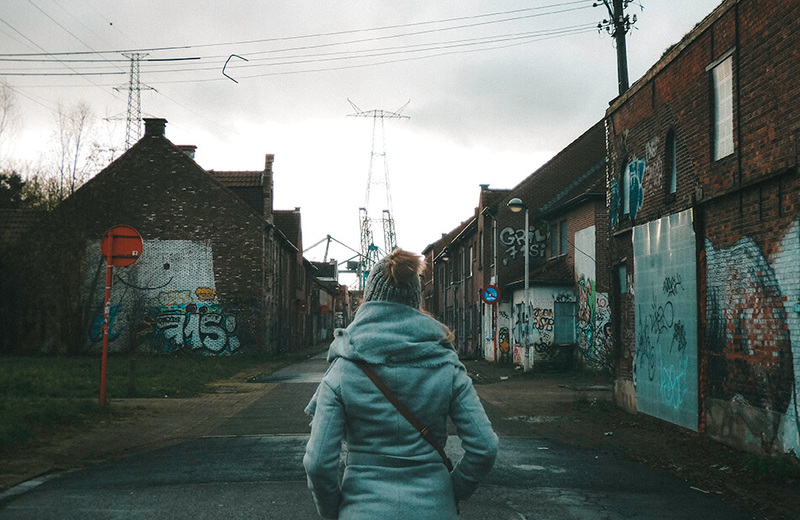 A dystopian feeling haunted us while visiting the decaying village of Doel. 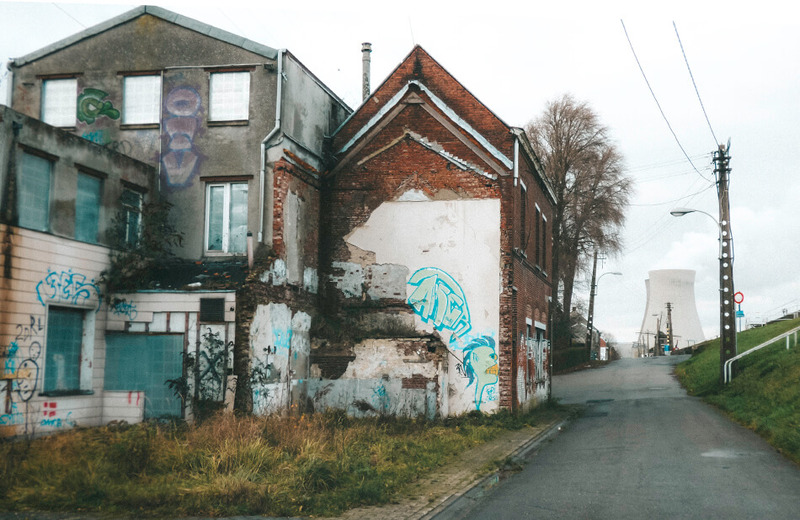 Located in the north of Belgium, close to Antwerp, Doel can most certainly be called a ghost town as it is almost completely abandoned. Since 2013, less than 30 inhabitants are still living in Doel, while more than 2000 inhabitants were registered in earlier years. 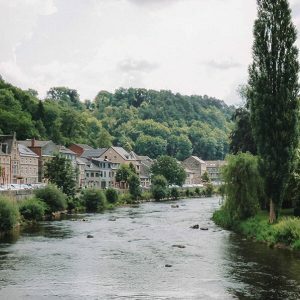 How did a Belgian village become abandoned? 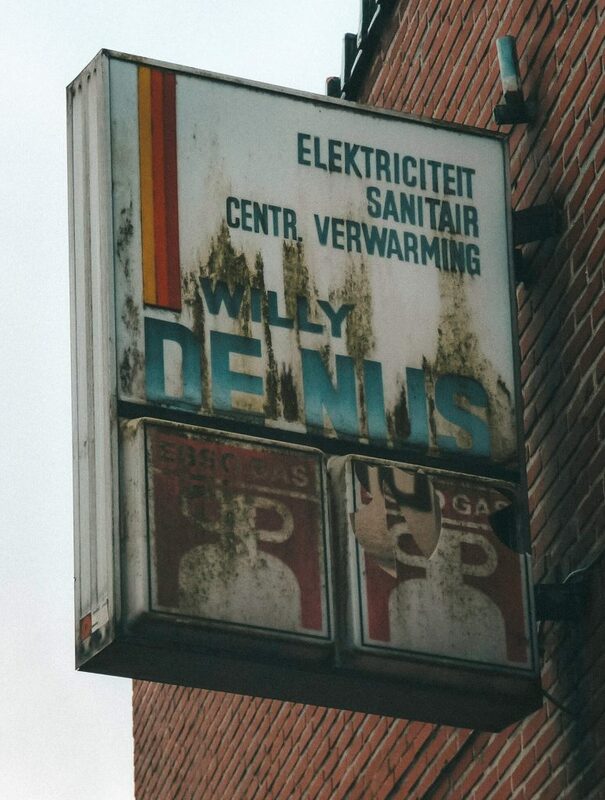 So, what happened to Doel? Well, as always, the truth is not nearly as exciting as any Netflix series plot. Doel has been in the heart of a political battle for over two decades now. A probable future enlargement of the Port of Antwerp was the reason for people slowly but surely leaving their hometown. 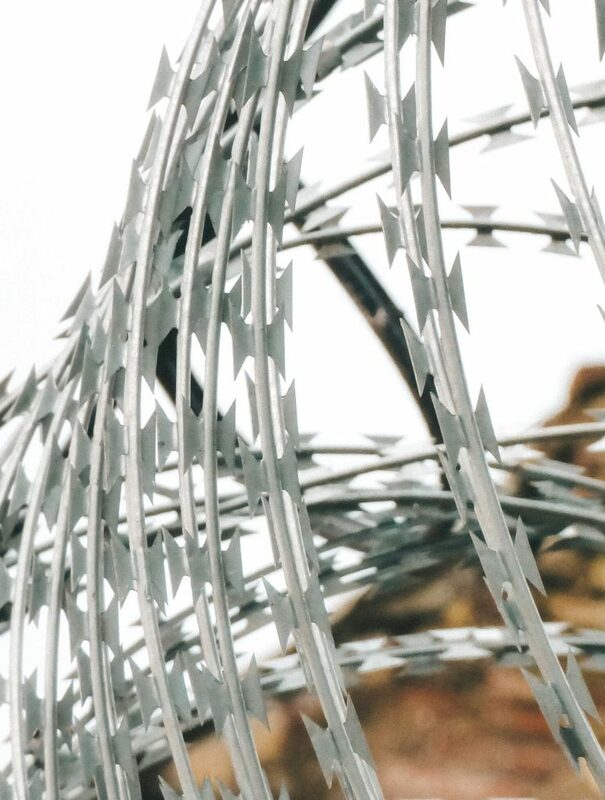 Though nothing has officially been decided until today, the inhabitants of Doel chose certainty above the Sword of Damocles of forced abandonment hanging above their heads. The remaining 25 residents are fighting for their homes and to keep their village alive. They claim that the construction of a second container dock (which is why they want to enlarge the current Port of Antwerp) isn’t necessary as the current container does not even use half of its capacity. People haven’t been leaving overnight, though the row upon row of vacant and abandoned houses might imply otherwise. An eerie post-apocalyptic atmosphere is what you get while wandering through the empty streets. Sometimes you can still see furniture in the houses and toys in the gardens. It’s like people had to leave in a sudden hurry. It feels like Chernobyl, only an accident never happened. The majority of inhabitants left just before 2000 when they were offered cash premiums to sell their homes voluntarily. 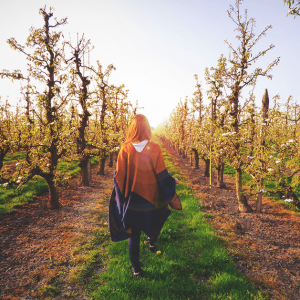 If people refused to sell their property, they could be expropriated and thus receive far less compensation for their estate. By 2007, most of the people had already left Doel and squatters started to move in. The squatters more or less reignated the fire in the haerts of the remaining inhabitants, trying to make Doel liveable again. 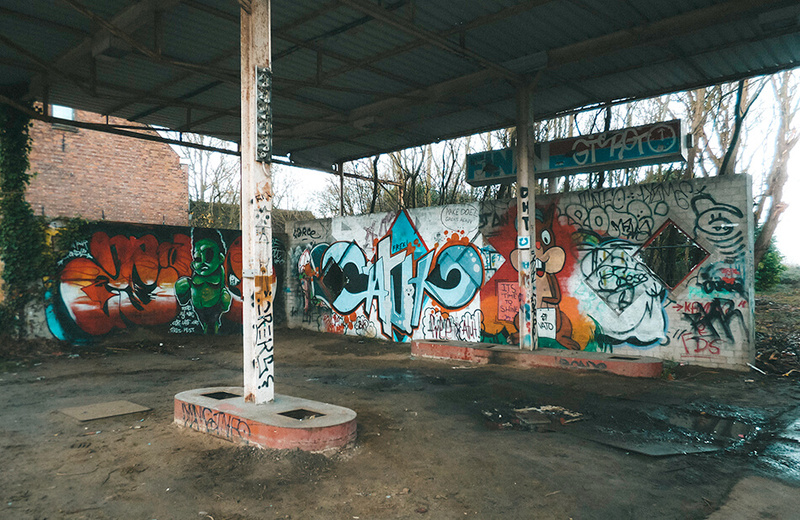 That’s when the campaigning group Doel 2020 was created, wanting to ensure the long-term survival of Doel by turning it into a paradise for street and graffiti artists. 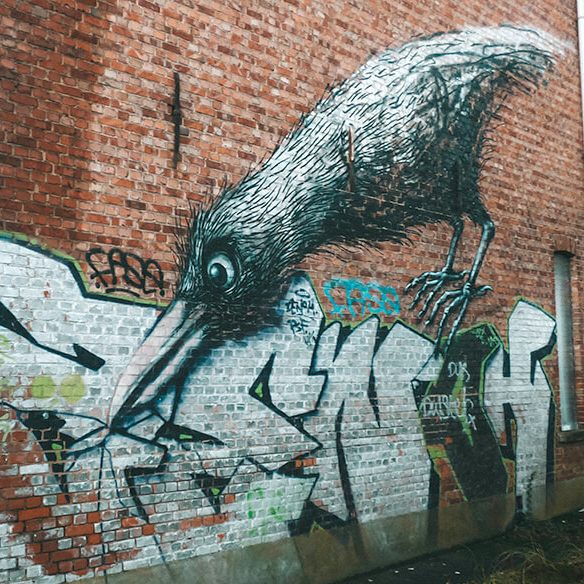 Given that Doel has become a haven for artists, it should come as little surprise that the city is covered from head to toe in spray paint. 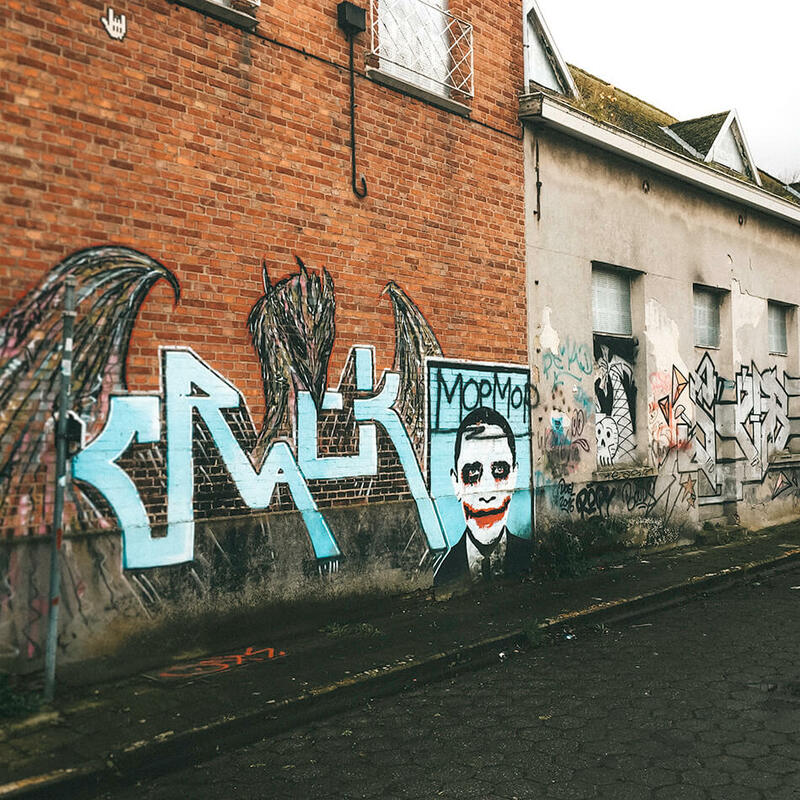 Almost every wall in Doel is covered with graffiti, eye-poppingly colourful doodles or large murals. 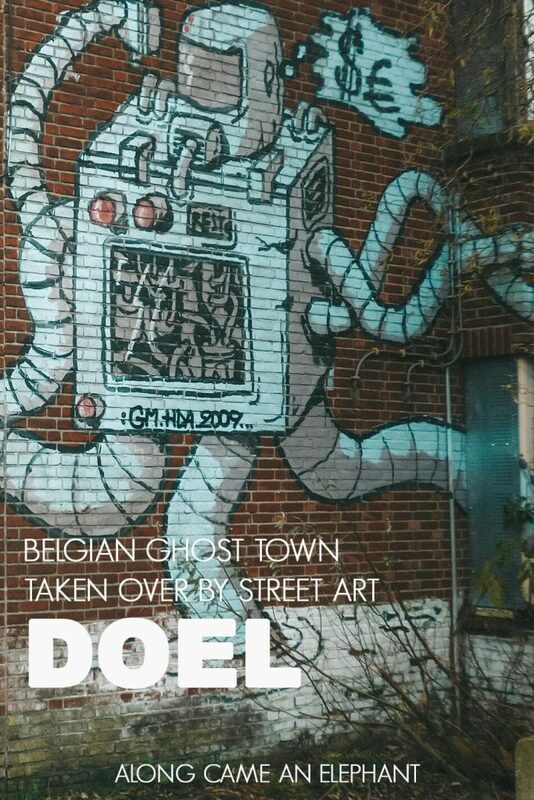 Not long after the creation of Doel 2020, Doel started to attract street artists from Belgium and all over the world. We’re suckers for street art so we simply kept our eyes open as we wandered around the town. 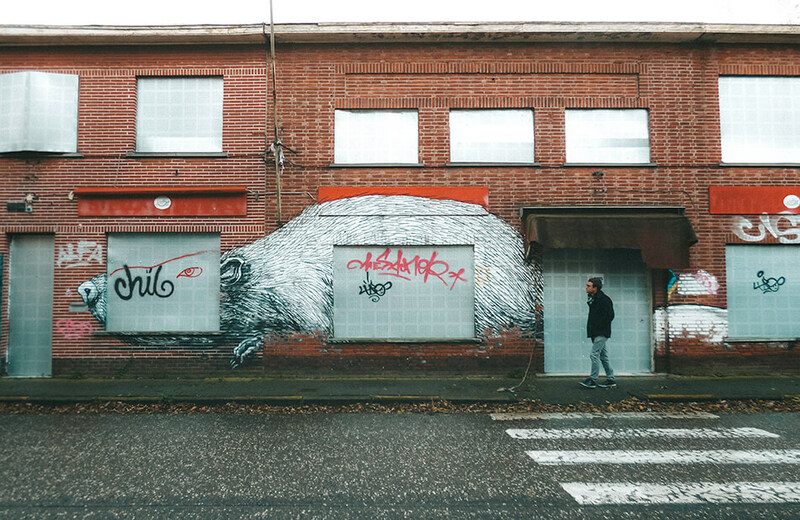 Of all the street art adorning Doel’s abandoned walls, the haunting oversized rat and crow by Belgian muralist ROA and some robot aliens by the Brussels artist Resto are the most memorable. 10 easy ways to make driving in Ireland a breeze! 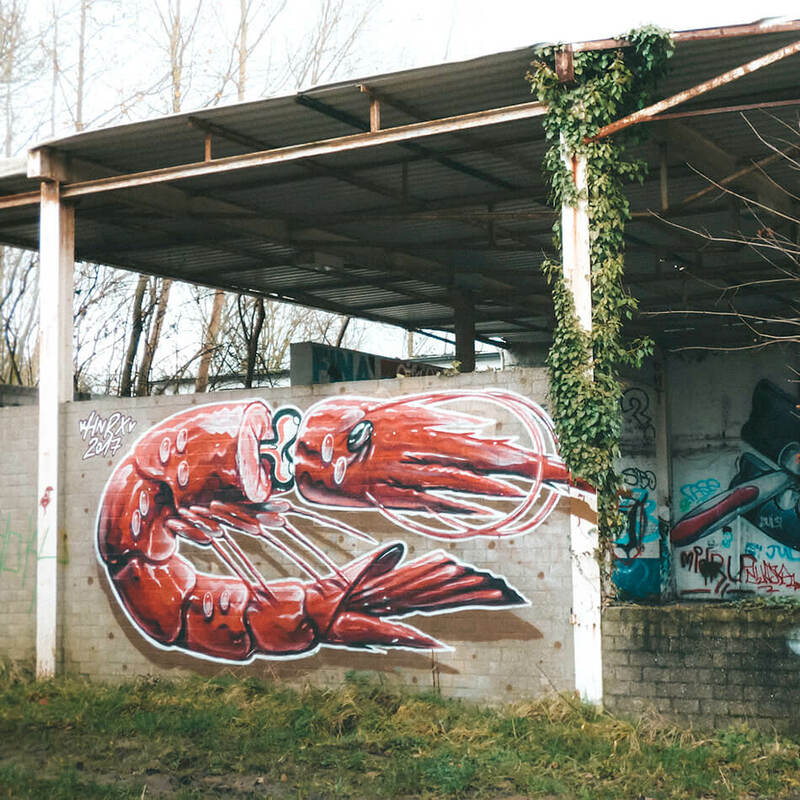 All this street art gives Doel something mysterious and magical. Go and dwell through the quiet streets and discover something new around every corner. 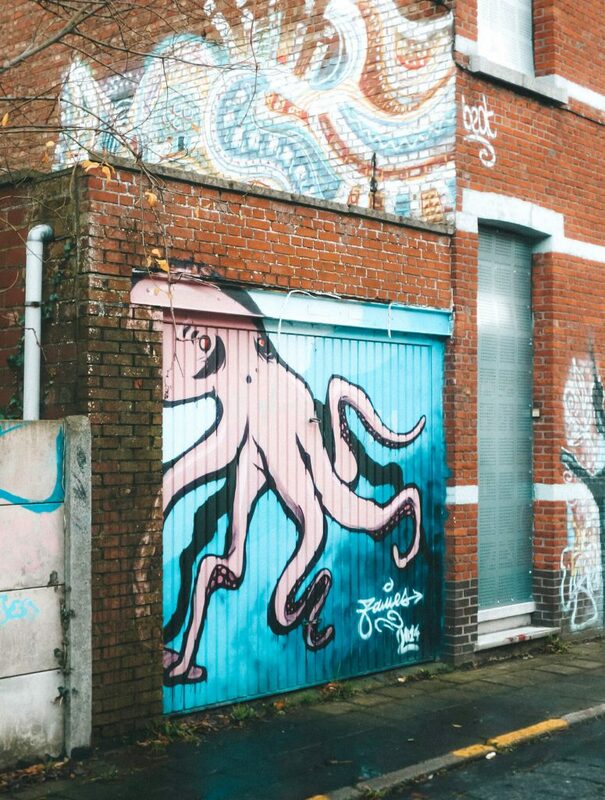 Your very own Brooklyn’s Bushwick, only miles away of the city of Antwerp in Belgium. Give yourself a few hours. 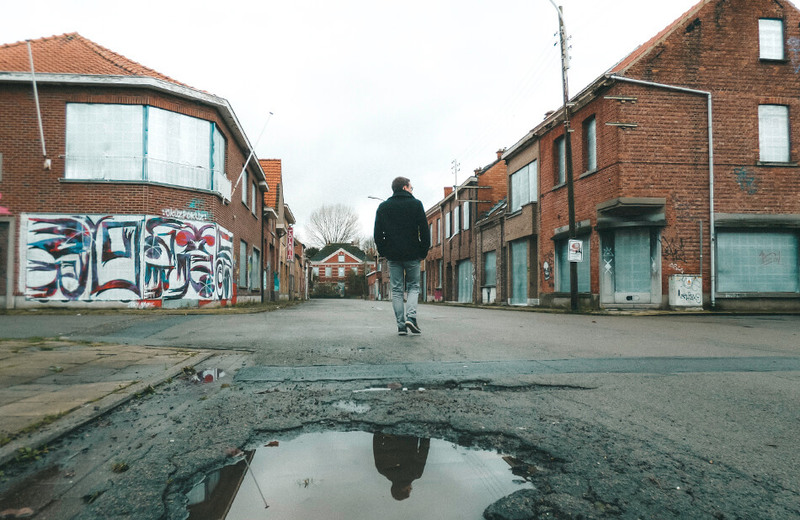 Though Doel is rather small, you can easily lose track of time and spend half a day as you discover new things while wandering through the desolate streets. Do not enter the properties. 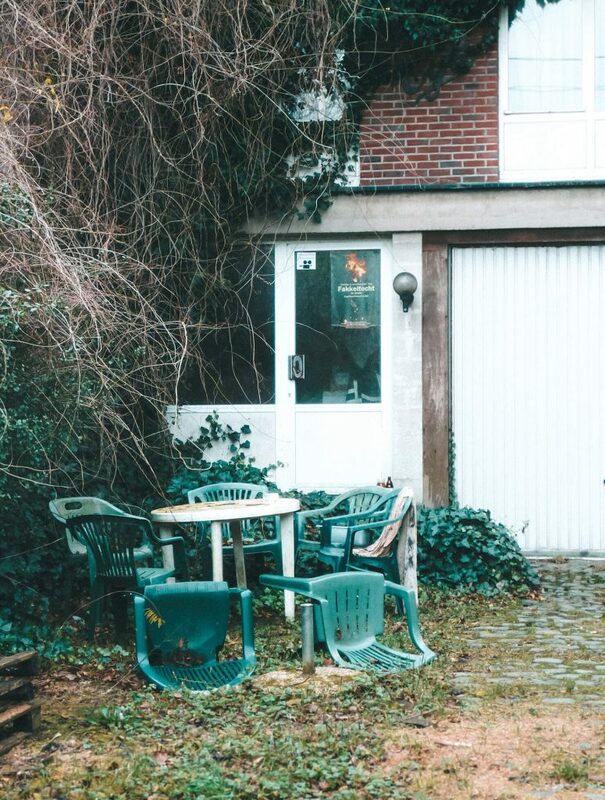 As tempting as it may be, Doel is an open-air museum and trespassing is illegal. Most of the houses have been barricaded and police patrols the streets. You are free to roam the public areas but are not allowed to enter private property. Have a beer with the nuclear power plant workers. There is one pub still operating in town and it mostly serves Belgian Beer to the locals still living in Doel and the nuclear power plant workers who work nearby. Do not forget to take a walk on the embankment nearby. Admire the beautiful views of the river the Scheldt (the biggest in the Flemish part of Belgium). You’ll get to discover a strange, unique view on the brutal force of human labour: the nearby powerplant surrounded by the industry in and around the Port of Antwerp. This all in the beautiful setting of the Polders of Flanders with a little small ghosttown quietly waiting for time to pass by. How much longer the Doel 2020 activists and remaining inhabitants can hold their grounds in Doel is unclear. 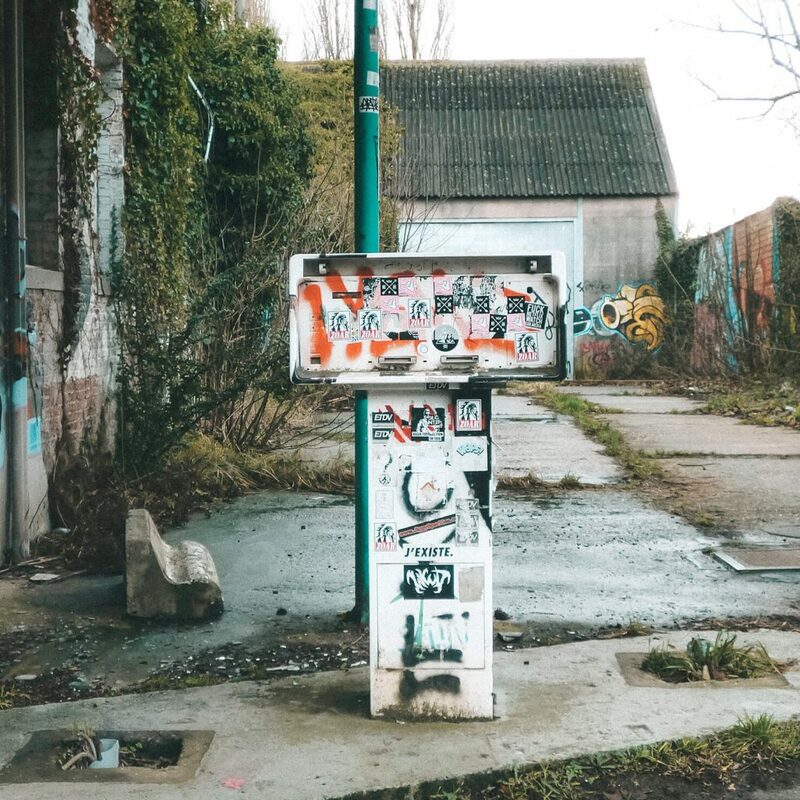 Will the village of Doel keep lingering in limbo or will it eventually be destroyed and either make way for new homes or a new part of the Port of Antwerp? 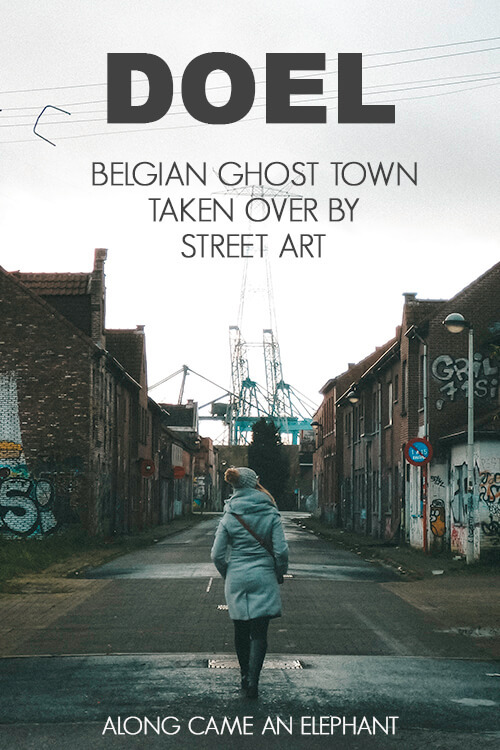 What happened in Doel will forever remain part of Belgian history, it is unlikely the street art will. 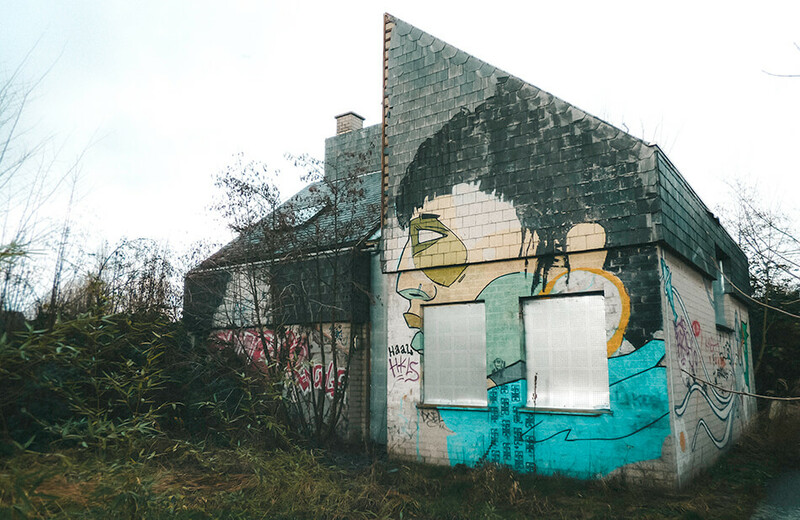 If you’d like to wander the abandoned streets of Doel and admire its street art, go ahead and explore while you still can! Oh! 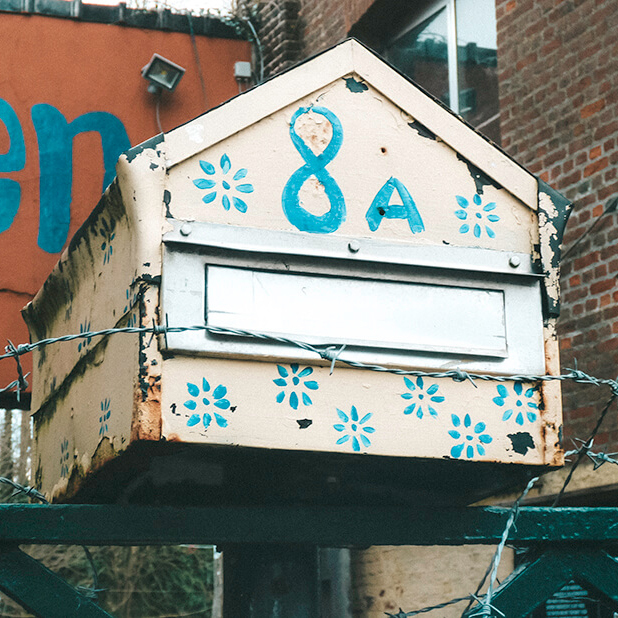 Did we mention that Doel in English means ‘target’? 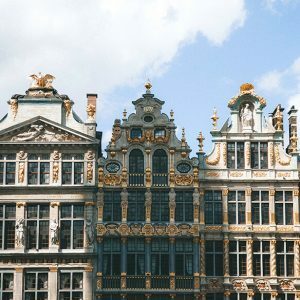 So yes, we surely encourage you to make Doel one of your travel ‘targets’ when visiting Belgium! 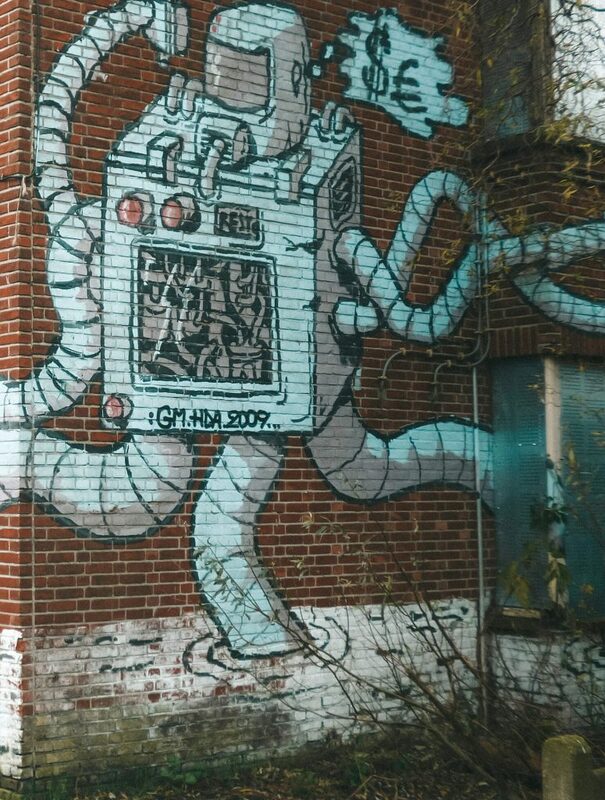 I’m so glad I discovered this post – I love abandoned places and street art, so it’s a dream combination. Belgium isn’t too far for me, and I’m super keen to visit Doel now. 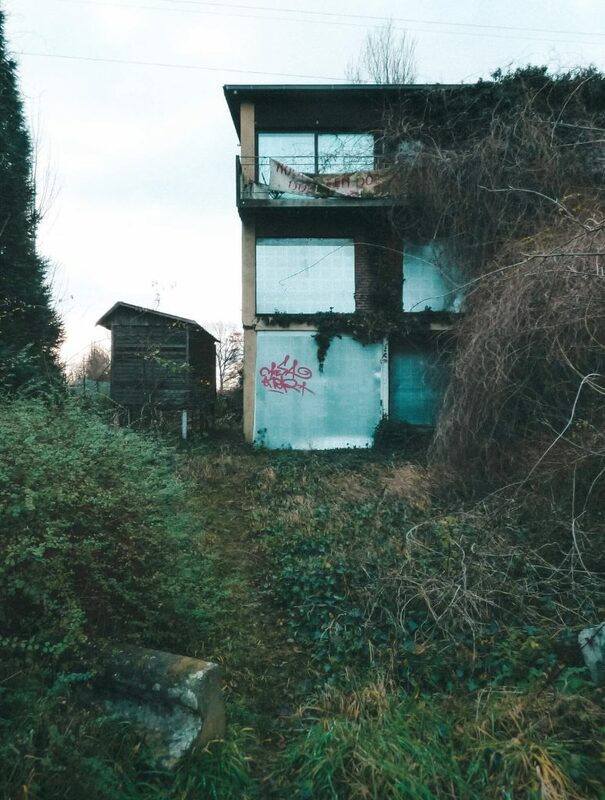 We’re glad you found the post inspiration and we hope you ‘ll get to see Doel! It’s awesome! That’s because at this moment we haven’t found a way to reach Doel by public transport :(. There used to be a ferry and a bus but it seems the transfers stopped when they started working on the new routes to/from the harbor. When we find new ways of reaching Doel by public transport we’ll update the article for sure!